Peppermint essential oil has so many uses and benefits that can be considered as miracle oil. This wonderful oil is an necessary part of your medicine cabinet. Thank to the menthol contained in the whole plant, it is used to soothe nausea and others stomach issue, cool your breath; vitalize your senses before a meeting or an important event and relief overworked muscles. Peppermint Essential oil also helps diminish headaches, clear congestion and deal symptoms from PMS. It is recommended to dilute with a carrier oil like almond or jojoba oil to avoid burning sensation or allergic rash. Some people may be sensitive to essential oils. It is not suitable to use on young children. 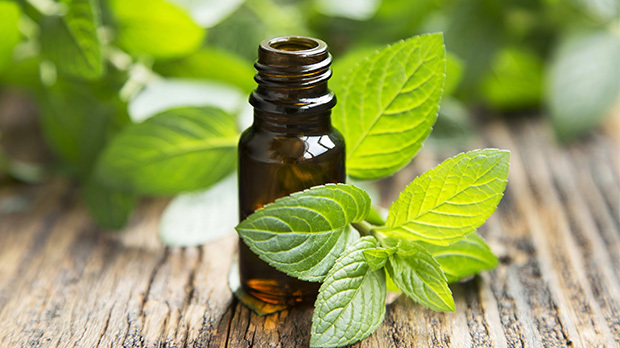 Peppermint oil has antibacterial, antiviral, anti-inflammatory, analgesic, anesthetic, insecticidal, antispasmodic and carminative properties and provides a great cooling sensation while it naturally alleviates discomfort.